When a senior colleague passes away at an advanced age, gratitude for what the colleague accomplished during a long and successful career and a sense of ‘mission accomplished’ may provide some comfort. But when the life of a young colleague is cut short, there is no such consolation and the overwhelming feeling is that of a great personal and scientific loss. 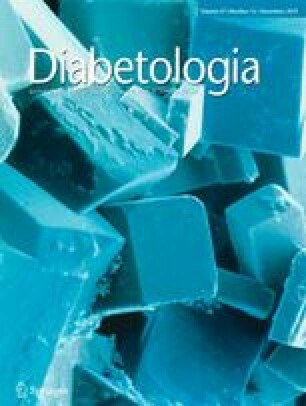 Much of the readership of Diabetologia might not have known of Dr Matthias Braun, who unexpectedly died on 16 November 2013 in Edmonton, Canada, at the age of only 47, but he was arguably one of the most prominent islet physiologists of his generation. Matthias was born in Reichshof-Wildbergerhütte, near Cologne, Germany. He studied Medicine at the University of Bonn and received his MD degree in 1993. He did his PhD in physiology under the mentorship of Professor Frank Thévenod at Saarland University, Homburg/Saar, Germany. His thesis, submitted in 2000, dealt with the role of ionic fluxes in secretory vesicles and was awarded the Calogero-Pagliarello Prize for the best medical thesis at Saarland University. After obtaining his PhD, Matthias moved to Lund, Sweden, and joined our team on a JDRF-funded postdoctoral fellowship. In Lund, Matthias quickly learnt the patch-clamp technique and soon became an accomplished electrophysiologist. He developed an ingenious technique to study the release of individual insulin granules . Matthias became one of the most important members of our group and we were therefore delighted when he agreed to join us in the UK following our relocation to the University of Oxford in 2005. In Oxford, Matthias independently developed the programme of research that would occupy him for the rest of his life: the elucidation of the electrophysiological properties of human pancreatic islet cells. Until then, most electrophysiological studies of pancreatic islet cells had been performed on mouse or rat beta cells. Although this had provided valuable information on the metabolic regulation of the beta cells, a suspicion lingered that it might not be possible to extrapolate observations in experimental animals to man. Thanks to a close collaboration with the Oxford Human Islet Isolation and Transplantation Centre (directed by Professor Paul Johnson), Matthias had the opportunity to perform a detailed characterisation of the ionic and electrical control of hormone secretion in human alpha, beta and delta cells. It is the nature of this type of research that the experiments cannot be planned in advance; they have to be performed whenever human islets become available (which is often during weekends and holidays). Another problem is that the islets released for research tend to be from preparations where islet yield or quality is not sufficient to proceed with transplantation. It is a testament to Matthias’s hard work and dedication that, despite these challenges, he managed to generate such a lot of high-quality data [2, 3, 4, 5]. Largely thanks to Matthias’s contributions, our knowledge of the electrophysiology of human islets is now almost as detailed as for rodent islets . In 2011, Matthias was appointed Assistant Professor of Pharmacology at the University of Alberta in Canada. In Alberta, Matthias continued the line of research he had initiated in Oxford, with its scope becoming broader and more ambitious. One of his many projects dealt with the autocrine regulation of the beta cells by ATP (and ADP) co-released with insulin during beta cell electrical activity, and the fruits of these efforts are published in this issue of Diabetologia . One might have thought that the field would have welcomed Matthias’s seminal contributions to the understanding of human islet physiology, but this was not always the case. Matthias’s last years were in part overshadowed by difficulties obtaining funding. The initial reaction was that ‘it can’t be done’ or ‘variability will be too great’ and then—once he had demonstrated that there are so many and important differences—there followed a period of denial (‘the cells are damaged and the data are not representative of the healthy human beta cell’). Despite very strong arguments as to why the physiology of human pancreatic islets is best studied in human islets, some reviewers insisted on the use of transgenic mouse models even in the face of compelling evidence that the ion channel was not at all expressed in mouse islets! Matthias patiently and convincingly argued his case but, sadly, he did not live to hear the news that following the last grant application he submitted to the Canadian Institutes of Health Research the grant was awarded in full. Despite being an outstanding scientist, Matthias remained remarkably humble throughout his life. He was a very private person, but once you got through his armour, it was apparent that he was a true scholar, erudite not only on scientific aspects but also on literature, philosophy and mathematics, and with a great sense of humour. As a colleague he combined loyalty to the group and the research task with a sharp critical mind. His comments, although invariably delivered gently and with great tact, were infuriatingly to the point: if there were a weakness in the argument, it was always spotted by Matthias. 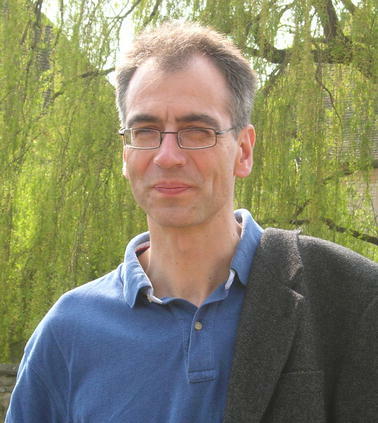 A symposium commemorating Matthias’s work was held in Oxford on 20 March 2014. As a testament to the high esteem in which he was held, colleagues from three different continents and twelve countries attended. The meeting illustrated the impact of Matthias’s work on many aspects of islet research as diverse as the genetics of diabetes and mathematical modelling of islet cell electrical activity. The field of islet research has suffered an enormous loss. The studies that Matthias lived to publish, impressive as they are, probably only represent an ‘appetiser’ of what might have followed had he been allowed to continue his work. It is sad to consider the beautiful experiments that may never be performed or, at best, will be much delayed. Matthias’s research has made a lasting difference and future work will build on his scientific legacy, but his intellect and experimental skills will be greatly missed for many years to come.